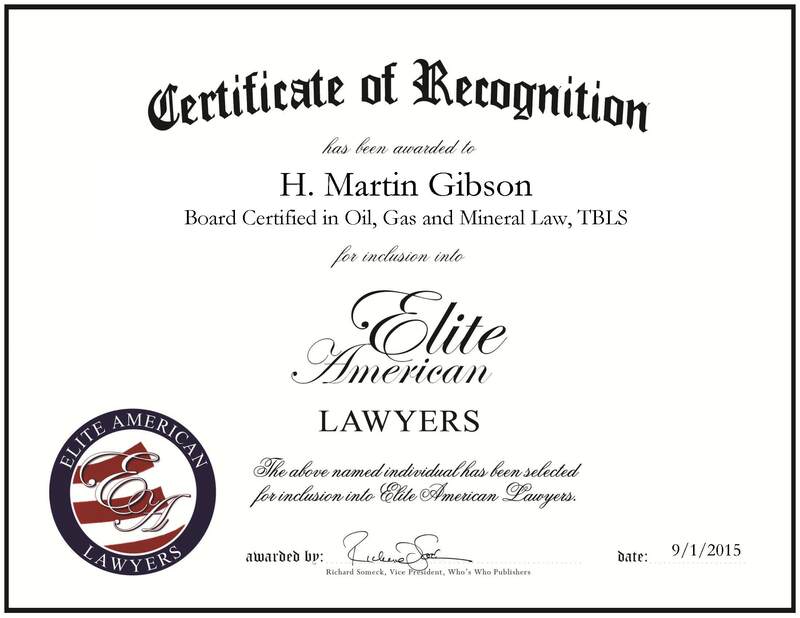 Austin, Texas, September 1, 2015, H. Martin Gibson, Of Counsel at Locke Lord LLP, has been recognized by Elite American Lawyers, for dedication, achievement and leadership in oil, gas and mineral law. 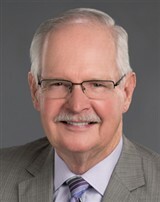 Mr. Gibson has 48 years of professional experience, having recently become Of Counsel for Locke Lord LLP. Throughout his career, he has set himself apart through his extensive experience in oil, gas and mineral law, as well as laws that relate to upstream oil and gas. Each day, he is responsible for representing clients that are involved in upstream oil and gas leasing, exploration and production, as well as financing and drilling. Mr. Gibson enjoys what he does, and this enthusiasm carries over to clients and other lawyers, who have greater confidence in him as a result. He became involved in his profession because the law plays such a big part in our lives. In years to come, Mr. Gibson hopes to help and educate other attorneys, and essentially continue the work that he is doing now. This entry was posted in Oil & Gas and tagged drilling, financing, mineral law, upstream oil and gas leasing. Bookmark the permalink.